Way of the Wolf: An Interview with Adam Weymouth, author of "Kings of the Yukon"
Adam Weymouth’s Kings of the Yukon details his canoe trip from the source of the 3,200-kilometre-long Yukon River all the way to the sea. The main purpose of this grand journey was not hedonistic exploration—but rather an intimate, hands-on method to investigate the plight of the iconic chinook salmon that have plied this watercourse for millennia. 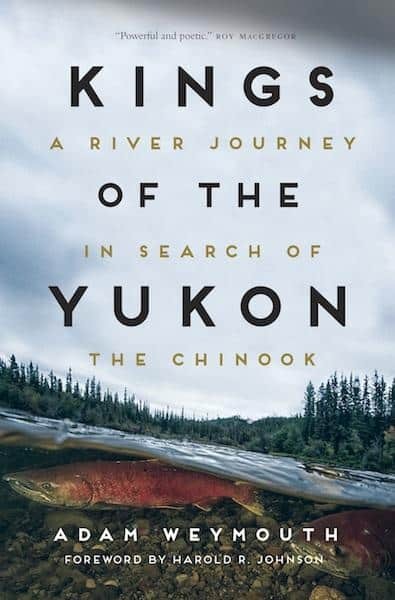 This brilliantly written book not only educates the reader on the chinook and its importance to the Yukon’s ecosystem, but is also a heartfelt look at the lives of those who live along the river. I cycled the frozen Yukon in the winter of 2003, but never got to know the locals like Weymouth did. He hung out with folks he met along the way sometimes for days, learning how their existence is intertwined with that of the chinook. From Andy Bassich, a homesteader who moved up from the “lower 48” and now stars in a reality show called Life Below Zero, to Mary Demientieff, an indigenous woman whose spirit shines through a life of hardship, we get a deep dip into some amazing life stories. Like the seemingly insurmountable challenge the chinook face swimming thousands of kilometres dodging nets, sport fishermen, eagles and umpteen other obstacles to get to their spawning grounds, the lives of the people along the river are similarly fraught with difficulty. Through restrained and thoughtful prose, Weymouth allows the reader a window into their day-to-day existence as they struggle to make ends meet in one of our planet’s last frontiers. Though salmon are the focal point, the book also spins a fabulous adventure story. If you were ever curious about what it takes to paddle the entire Yukon, Weymouth paints a vivid mental picture of the ups and downs of spending months outside in the elements on this historic waterway—much of it with his partner Ulli, who joined him for the majority of the journey. Ultimately, Kings of the Yukon gives us hope that the fractured chinook resource and the hardy individuals that depend on it will continue to see a way through. It’s a fresh and energetic look at the delicate balance between our modern world and the ancient pulse of nature. What inspired you to journey down the Yukon and write about the plight of the chinook salmon? 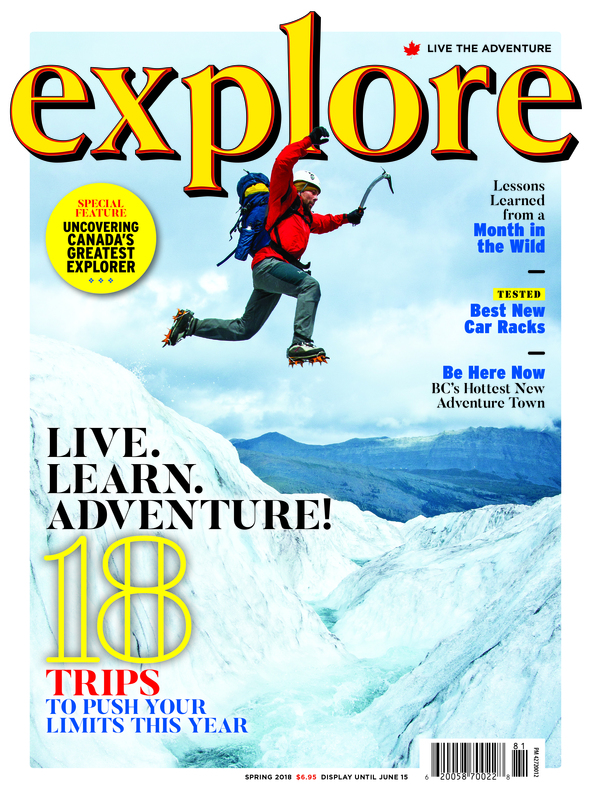 In 2013, I travelled in Alaska for the first time, working as a journalist. In the town of Bethel, I came across the story of 23 Yup’ik fishermen accused of fishing chinook salmon whilst a ban on them was in place. The ban had been implemented following a recent crash in their numbers, but the Yup’ik had chosen to fish in spite of it, as the annual harvest of the salmon is as much cultural as it is a way of obtaining food. They defended themselves in court as having a right to practice their traditional livelihood. Yet they were found guilty, the state proving that they had due cause in protecting the extremely vulnerable chinook. Two different ways of understanding the world were being forced up against each other. I wrote a piece about the trial, which ran in The Atlantic. Back in England, I kept an eye on events: in 2014, and again in 2015, a ban was placed on chinook along the entire Yukon river, in both Alaska and Canada, an unprecedented move. I felt that there was a larger story to be told. I have always been inspired by long, slow journeys overland—in 2010, I walked from England to Istanbul. It is a way of travelling that allows you to meet local people, of stringing their stories together by way of chance encounters rather than planned meetings. It is a way of trying to understand the places that they live in, the elements that constitute their lives. And I started putting together plans for a canoe trip down the Yukon as a way of researching the impacts of the decline of the chinook. The lives of the salmon and the people you met along the Yukon are deeply intertwined—who’s the most memorable character you met and why? Mary Demientieff is an 80-year-old Athabascan woman who still spends every summer at her fish camp, several miles downriver from the village of Holy Cross. Raised in the orphanage at Holy Cross by nuns, her life has spanned Alaska’s modern history, from a traditional childhood living off the land to the iPhone that she had today. She had 12 children, and now has hundreds of descendants spread out across the state. Despite the aches that she now feels, she still makes the journey to her fish camp every summer—for her it is impossible to imagine a life where the catching of salmon is not integral. She welcomed us with such warmth and hospitality, full of joy for a life that must have been unimaginably hard at times, and yet borne with such lightness and spirit. I think about her often. We spent a long time before the trip worrying about a bear attack, or capsizing, or having some accident miles from help, but in the end it was something as simple as the rain that got me down. 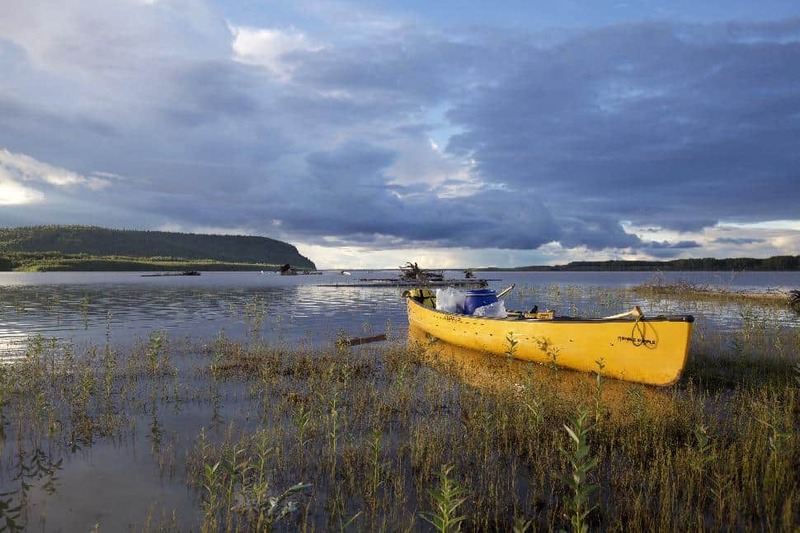 Summers in the north can be baking hot, but there were weeks at a time when there was nothing but rain: lighting fires with wet wood, pulling on wet clothes every morning, bailing water all day from the canoe. It can be hard to keep your spirits up when everything is soaked for days. What was the best part of the journey? All of the salmon! Whilst now in decline people are still fishing, and everyone we spent time with was keen to share what they had, smoked or barbecued, deep orange and dripping in oil. People would approach our canoe in their speedboats, just to hand some dried salmon over to us. The meals that we had, sharing fish, swapping stories, are some of the best that I’ve ever had, and made it clear to me how wrapped up food is with culture and with place. 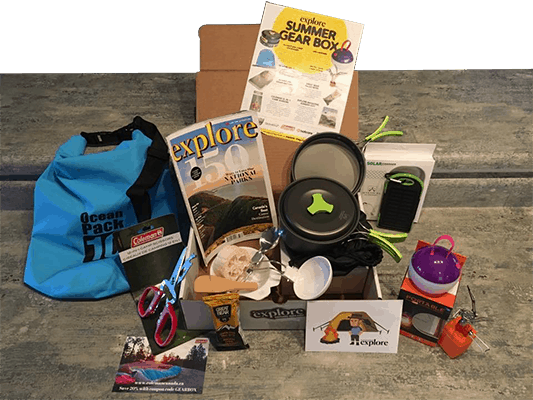 What were some key pieces of equipment that helped you successfully complete such a long river trip? I became very attached to the canoe—a bright yellow, 18-foot boat made by Clipper. It is a wonderful way to travel, feeling the river through the hull, the simplicity of the single paddle—riding out waves on difficult crossings or sitting back and drifting for hours, reading, letting the river take you. The canoe allows for all sorts of luxuries: fresh food, a fishing rod, even a couple of chairs. Those little additions made being out for four months much more manageable. And the tent: we took along a Campfire Tent made by a company called Frost River, based on an old gold prospector design and popularized by Bill Mason in the 1970s. It is 26 pounds of canvas, not much use for hiking, but for a canoe trip it was perfect. Cool in the heat, waterproof in the downpours and spacious enough for us to wait out storms for days on end. There are multiple ways of setting it up: you can even use the canoe to reflect the heat of the fire and warm the tent at night. You spent a long time in the wild in order to write this book—did the journey have any profound personal effect on you? Yes, but not in the ways I had envisaged. Like many people that live in big cities, I had a romanticized idea of the wild, gleaned from books and wildlife documentaries, and that was what drew me to the North. Certainly, being out for weeks on end without seeing a road or a person felt special in a world that often seems crowded. But the experience wasn’t categorically different to places that I have been to in the UK, places where there are signs of human habitation, yet equally beautiful. I came to see the notion of the wild as problematic, wrapped up in notions of the frontier and somewhere that was supposedly uninhabited before white settlers came. To feel that our “wilderness experiences” can only come when the places are devoid of people is a particularly Western notion, blind to history and blind to places that can have an equally profound impact on us despite bearing the marks of human habitation. You live in London, one of the biggest urban centres in the world. Now that you’re back home, do you miss any aspect of life on the Yukon River? Conversely, when you were on the Yukon, what did you most miss about home? I live on a boat, albeit a bigger boat than a canoe and so although I live in a city there is not a complete disconnection from the journey down the Yukon: I still have to haul my own water, make a fire each night and worry about leaks. That said, compared to the city’s pace there was a wonderful simplicity in those months spent on the river, a pleasing monotony that came from cooking breakfast every morning on a fire, packing the canoe, paddling all day and setting the tent at night. I had time to learn birdsongs, visit with people for hours on end, to catch a fish for dinner. Time is a luxury in London, in the endless light of an Alaskan summer, I had it in abundance. Did I miss London whilst on the river? Not really. Perhaps the radio in the morning. Why should people care about the future of these salmon? Are you personally hopeful for the future of the species? We are asked to care, so often, about so many species that are teetering on the brink, that to worry about yet another one can feel overwhelming. But the chinook is so wrapped up in peoples’ lives and also in the ecosystem that its disappearance will have profound consequences. So many species depend upon the salmon: bear density can be 80 times higher along streams where the salmon are plentiful, and as the salmon carcasses decay into the soil, the minerals in the fish make their way into the vegetation, so that the nitrogen and phosphorus found in trees along the river banks can be traced to the bottom of the ocean. It is an interesting time to be writing about the chinook. I am used to covering environmental stories that seem like lost causes, but the salmon are not without hope. Strict conservation measures in the past couple of years are starting to make an impact—the challenge comes both in enforcing those measures for long enough to allow the population to stabilize, and in conserving the chinook whilst allowing the cultures that depend upon the fish to flourish. How those decisions are navigated will determine the fish’s future, and only by involving all those voices with an interest in the chinook’s future will an adequate solution can be found. 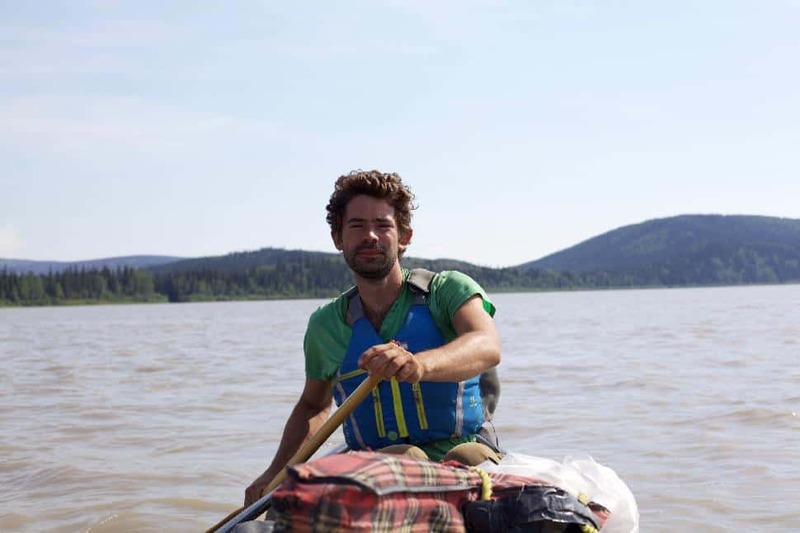 You spent much of the journey paddling with your partner Ulli. Spending that much time in a canoe with someone can often be a strain—how did it work out with you guys? Sure, there were times when we were tired and tetchy with each other—18 feet is a small space to be in with anyone for months. But we both got a huge amount from the trip, and having always travelled by myself before, I’ve really enjoyed having someone to talk about the memories with this time around. In the evenings, Ulli did much of the work around the camp to allow me the time to write, and I’m not sure how I would have managed it without her. She also had connections to some of the women on the river, such as Mary, which would have been very different had I been there by myself. It was a very special journey to share. Since we’ve come back from the trip we’ve had a baby, so we must have done something right. 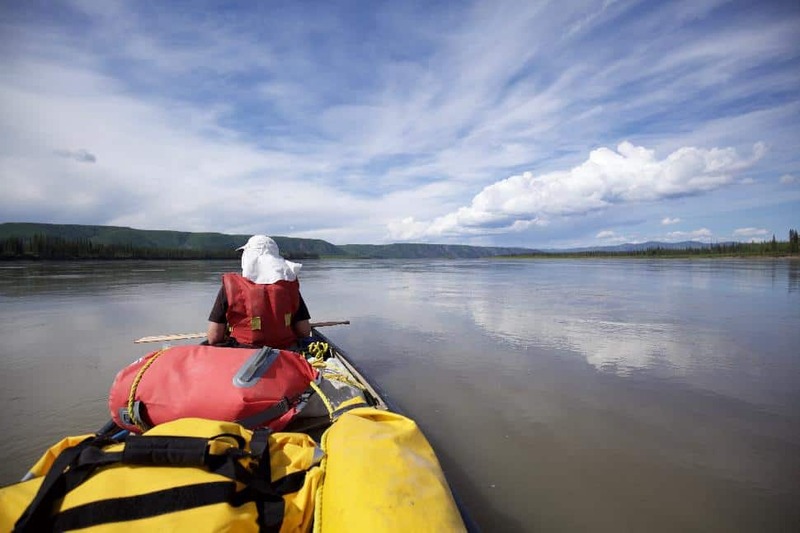 Any hot tips for someone thinking of paddling the Yukon River themselves? Take it slow! If you want to get from the source to the mouth it will take at least a whole summer, maybe more. Allow yourself enough time and food and paperbacks to wait out the bad weather—any difficulties we got into came from having to head out onto the river when the conditions weren’t good because we were in a rush. Dan Maclean’s book Paddling the Yukon River and its Tributarieswas immensely helpful in planning the journey, as were the outfitters Kanoe People and Up North Adventures, based in Whitehorse, and the maps of the river by Mike and Gillian Rourke. Is there a message you want people to take away from your book? We are fundamentally part of the natural world. The environment is not a problem out there, elsewhere, to be fixed—it is a part of us, and as it changes, we change. If the salmon are affected, the people are affected; as people change, so does the landscape. That was clear to me on the Yukon, where these relationships are stripped back to their roots, and whilst those connections are more obscure in cities, their importance is the same. We cannot tackle the problems that the environment faces without tackling equality and poverty, and we cannot continue the degradation of the natural world without also degrading ourselves. Frank Wolf is about to embark on a 230-kilometre ski route across the Penny Ice Cap on Baffin Island. What are you doing this spring? Frank Wolf attended the annual Wilderness Canoe Symposium in Toronto. This is where real Canadian canoeists gather—a meeting of the (wilderness) minds! Frank Wolf interviews Kate Harris about her epic bike trip along the Silk Road—and her new book.